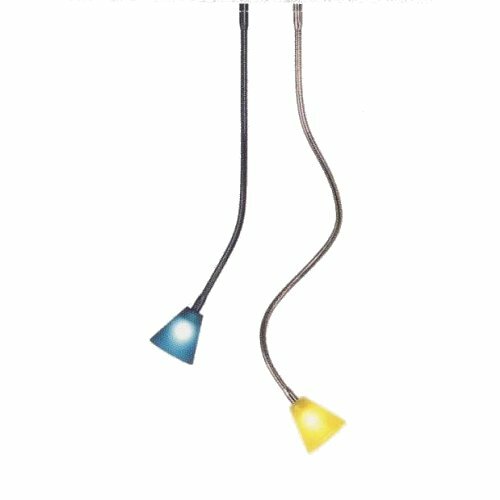 Flex hose lamp with glass or metal reflectors of the Hopper family. The flex hose is secured by screwing the plug contact to withdrawal. The glass or metal reflectors are easy to change by a jack or to clean. The plug lights of Steng are generally supplied without the necessary plug-in contact transformers. These can be found in the category "Accessories> Transformers" under the manufacturer's selection "Steng". Please note that the illustrations may differ from the original color. The plug lights of Steng are generally supplied without the necessary plug-in contact transformers. These can be found in the category "Accessories> Transformers" under the manufacturer's selection "Steng". Lights with a flex-tube which are more than 40 cm long are not suitable for wall mounting. Lights with a flex-tube which are more than 40 cm long are not suitable for wall mounting.